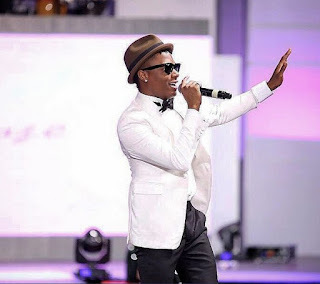 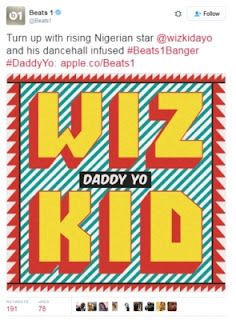 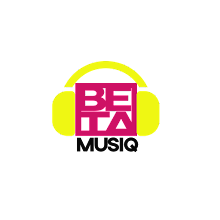 Home GIST BETA GIST: BEATS1 REFERS TO WIZKID AS A "RISNG NIGERIAN ARTISTE"
BETA GIST: BEATS1 REFERS TO WIZKID AS A "RISNG NIGERIAN ARTISTE"
UK radio Beats1 came under fire after tweeting about Wizkid, asking fans to tune in and listen to his latest song ‘Daddy Yo‘. 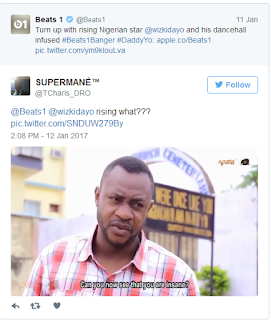 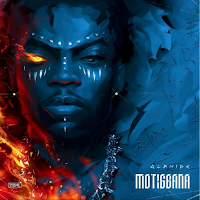 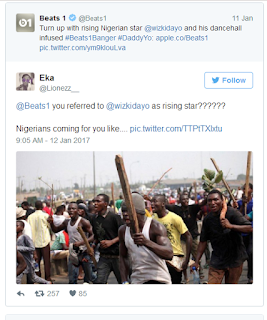 In their tweet, the singer was referred to as ‘a rising Nigerian Star’ a line which angered thousands of Wizkid fans. 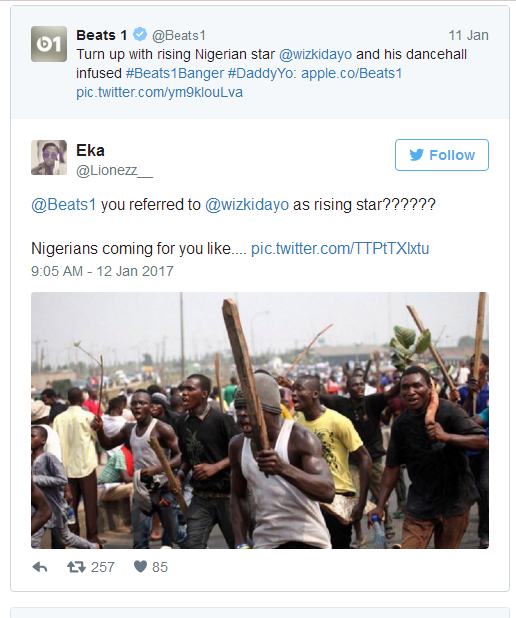 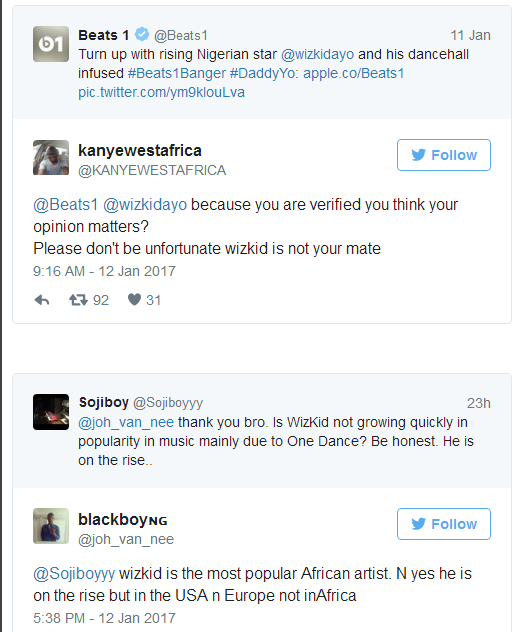 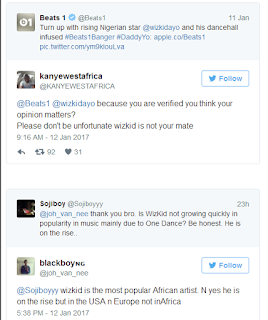 As a show of solidarity, these fans took to twitter to slam Beats1 for this statement, with many stating clearly that it is infact a major offense to refer to Wizkid as a rising star.